Edmonton, AB, Canada, January 14, 2019 – Insight Works, the global leader in operational productivity improvement leveraging a depth of expertise via a proven set of NAV add-on modules, is kicking the new year off with a bang, evidenced by a bevy of exciting announcements and new Partner Program member acquisitions. Recently welcomed into the Partner Program fold was Interactive Interfaces, a Calgary, Canada-based software consultancy company specializing in customized software development, system integration and business intelligence solutions – all of which are poised to be thoroughly enhanced through the dynamic partnership with Insight Works. As authorized Insight Works resellers, Partner Program members gain access to domain expertise that yields not only knowledge, value and realization but the reinforcement of a dedication to provide global productivity solutions via established local dealers. What’s more, each potential partner is tirelessly researched to ensure its clients receive the same level of professionalism, expertise and care as Insight Works’ clients do. “Working with us in this new year is going to allow Interactive Interfaces to offer its new customers a more robust solution, while also providing supplementary value to existing ones,” states Brian Neufeld, Insight Works’ Director of Marketing. “Not only that, but Interactive Interfaces will be able to leverage the experience Insight Works has gained through countless implementations by accessing proven technologies that allow for more predictable consulting, development, integration time and much more. In helping medium- and small-scale businesses achieve their process re-engineering goals, Interactive Interfaces performs business process re-engineering by automating companies’ processes via implementation of relevant software and IT solutions. Additionally, the organization maintains and improves current IT and software solutions for clients by analyzing up-to-date tactics with regard to technology, efficiency, cost and security, thus improving the IT/software landscape with services that are maintainable, extendable, cost-effective and secure. 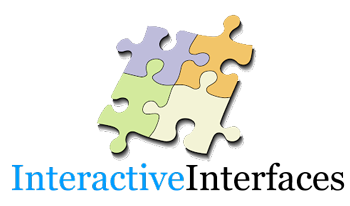 Situated in the thriving industrial hub of Calgary, Interactive Interfaces is a dynamic software consultancy company specializing in customized software development, system integration and business intelligence solutions such as reports, business warehousing and data mining. Additionally, the organization maintains and improves existing and current software and IT solutions, analyzing them from the perspectives of technology, efficiency, cost and security. To learn more visit www.interactiveinterfaces.ca.